Blackview BV7000 is an AWESOME smartphone ,its a 4G LTE smartphone that is very affordable by an average person , it runs on Android 7.0 Nougat . It also has a 5 inch Display screen protected by a corning Gorrila Glass 3. 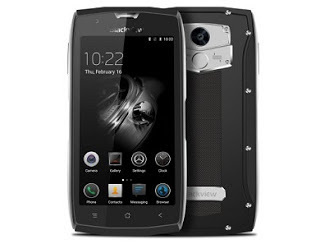 Blackview BV7000 4G Specifications .It is powered by MediaTek processor and a Mali Graphic chips. Other awesome features is that the smartphone is IP68 rating, which means it can withstand shock, its also duct resistant and can withstand damage if submerged in water on 5 meters deep for 2hrs.